Hello my fellow educators and welcome back to The PE Umbrella. 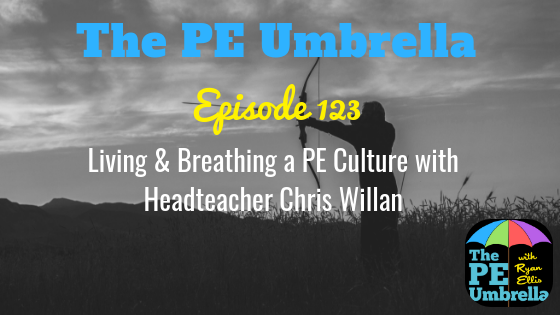 This week, for episode 25 of the PE Umbrella podcast I am sharing with you yet another Primary PE game that you can take away and implement this week! I urge you to take action and play this game, you certainly will not regret it! Ideal for both KS1 and KS2 aged children and inspired by my time coaching at UKElite soccer, I have adapted this ‘football’ activity and created a variation non sport specific that can be played as a culmination of a unit of multi skills work, or just as easily as a one off competition. Although the game centres around a ‘tag’ focus, there really are so many learning outcomes and discussion points that can be raised from playing it and strong links with traditional sports can be made. To ensure that you know exactly how this game is played, I have provided you with a FREE DOWNLOADABLE PDF plan for you to print off and take into school. 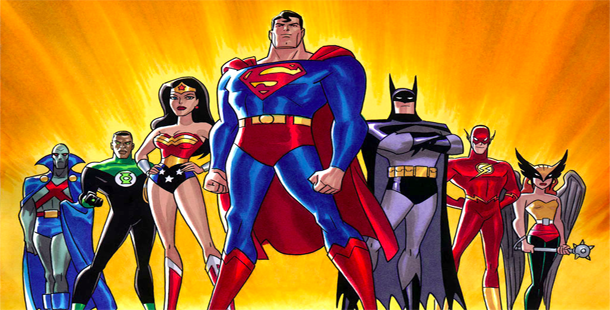 I want you to take action and play ‘Hero Wars’ this week and let me know what you think. Below is a link to some colourful captains armbands that I talk about in the episode, the perfect accompaniment for any PE lesson just to add that extra bit of pride for the children wearing them. Mitre Captains Arm Bands – of course this is just one link, but these are readily available to buy at any good sports store in person or online! If you are inspired, then I’d love for you to get in touch by sending me pictures/videos of your own Hero Wars game setup! Email me at ryanellis.peumbrella@gmail.com or tweet me @ryansporting. 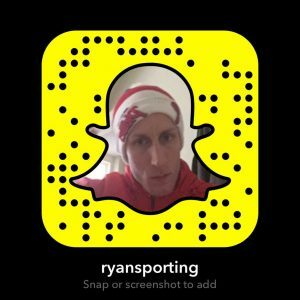 Also, if you have Snapchat (or even if you don’t) sign yourself up right now and add me by searching ‘ryansporting’ or simply by scanning the code below. I am more than happy for you to snap me directly with your Primary PE questions and I will endeavour to reply to everybody via video. 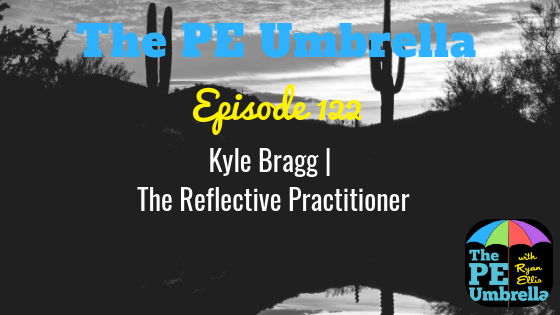 Be sure to subscribe to The PE Umbrella on iTunes or Stitcher radio by following the links above or below. It would be amazing if you could rate and review the show there and give me your feedback. Have a tremendous week engaging, motivating and inspiring your children and I’ll catch you next time ‘Under the Umbrella’. Are YOU Promoting ‘Learned Helplessness’ in YOUR lessons?